oh, my, you mean that's not normal?? I wouldn't expect much from 4.7 gr load if crimped right. But if fat chambered then it'll do it. james r chapman wrote: oh, my, you mean that's not normal?? Well those are good crimps. If the gun is shooting accurately I wouldn't sweat it. All those are Quality Parts but we don't know what chamber reamer was used so we really don't know whether you have a fat chamber or not which could contribute. Thanks Jon. The gun is shooting fine. Better than I am lately it seems, so I guess I won't worry about it anymore. Neither a gunnie nor a BE shooter here. But could that be indicative of a out of round chamber. Just curious? The chamber in my Bar-Sto barrel Hoag was about .0015 out of round and I could see it after cleaning the chamber. The chamber was somewhat discolored in he area of the O/R condition. No Gary. Common for one side to get the soot. But if chamber was larger diameter it can get more blow by. Many thanks for the clarification, Jon. I always wondered. Mine are always like that. Never gave it much thought. 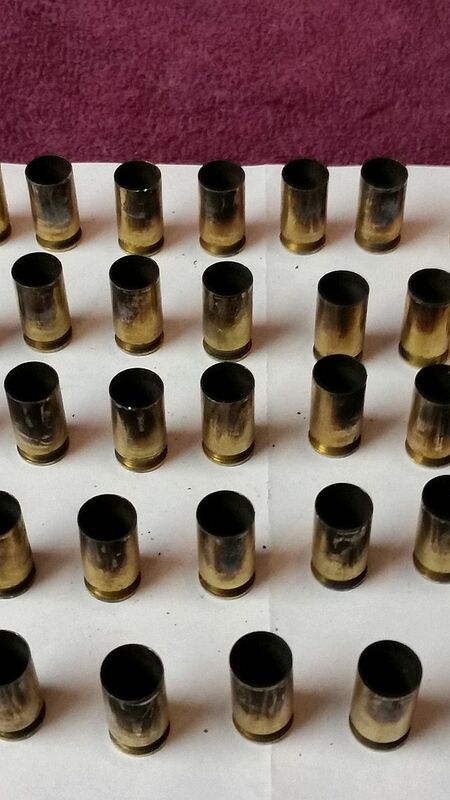 The loads we use don't make enough pressure to expand the brass and make a seal to the chamber, so you get some blow by. 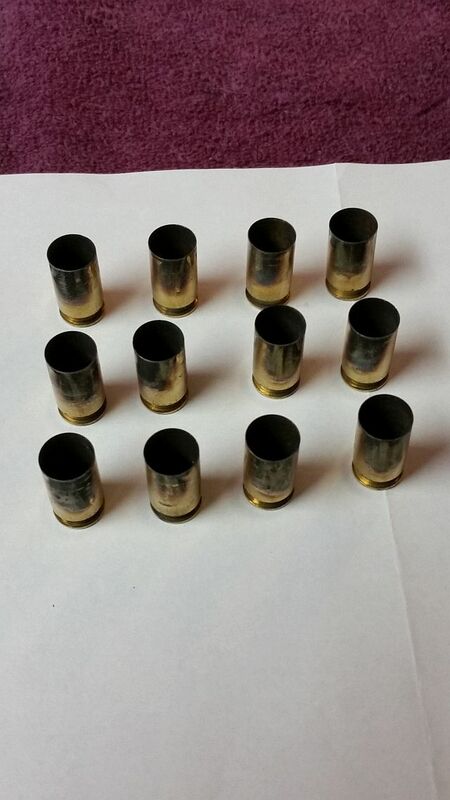 A "carbon" copy of fired cases from my 9mm mostly-stock RO and 986 revolver. Both shoot well and I've stopped looking at it. My 986-spent cases have so much soot on one side I have to rub them in a cloth with Rem-oil before decapping/sizing to reduce the friction. The 1911 Forum has many posts regarding this issue.